When it came to beauty, 2012 was quite the year! 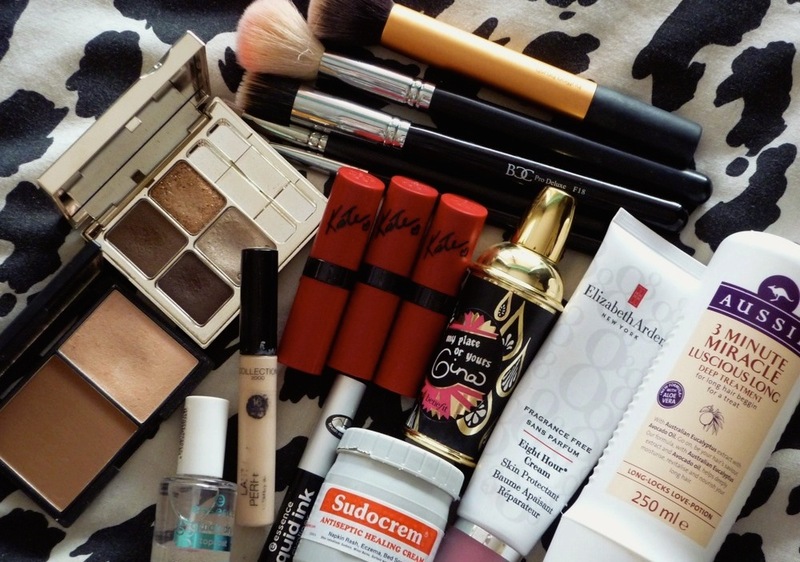 I experimented, I discovered and I fell in love with products and tools - a million times over. My favourite products have changed quite a bit from 2011's selection, but there are still the odd few that'll continue to sweep the top spot in my product choice. 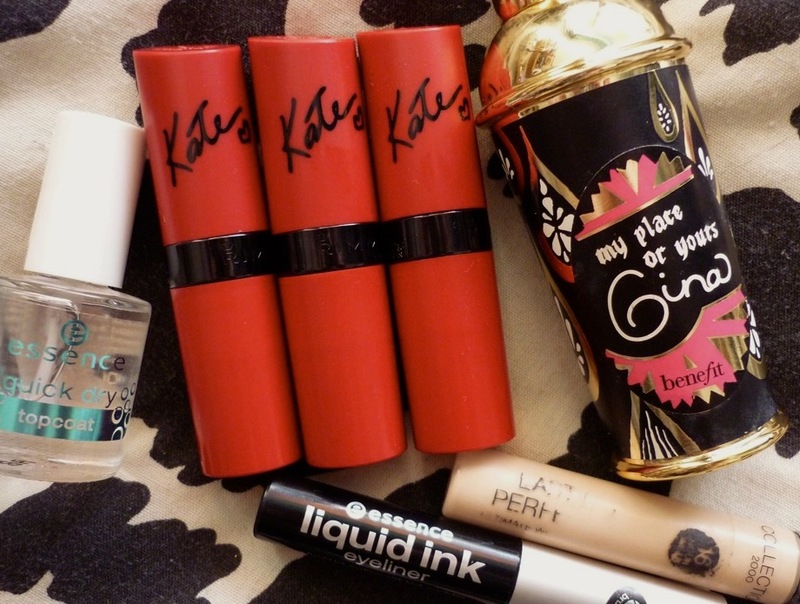 If I didn't mention certain products (foundation, mascara etc), it's because none in particular stood out to me in 2012. I fell head over heels for Clarins in 2012; makeup and skincare-wise. I was introduced to the brand early on in the year, and I was beyond impressed with the brand's ethos and products themselves. I use Clarins on a daily basis now, in both my skincare and makeup routines. I feel it's a brand I'll continue to go back to, and trust. My favourite Clarins products are their facial serums, mascaras, eyeshadows and cleansers. The Kate Moss x Rimmel matte lipstick collection that came out in 2012, has impressed all of us beauty-nerds it seems. I read at least one review on the lippies every week, and it's safe to say that they're by far one of the greatest makeup collections that came out last year. For around €6, you receive a pigmented, matte-yet-moisturising, long-wearing lipstick. I currently prefer them to all of my high-end lipsticks, and cannot say a bad word about them. My favourite shades are 101 and 107. I'm quite the makeup brush junkie, and when I was offered Blank Canvas Cosmetics brushes to try out last year, I jumped at the chance! BCC are an Irish company, selling both makeup and makeup brushes. 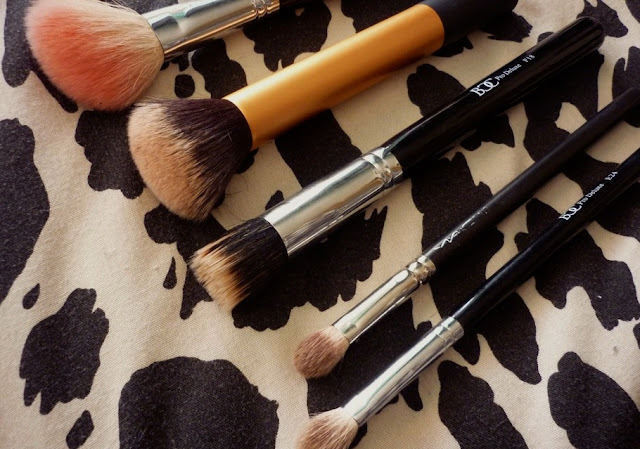 Their HD Kabuki brushes changed my makeup application process forever, and they're brushes I use almost daily. They're great brushes, at such affordable prices. Best Brushes - Sigma Large Angled Contour F40, Real Techniques Buffing Brush, Blank Canvas Cosmetics Pro Deluxe E24, Blank Canvas Cosmetics F18 and M.A.C 217. I tended to use the brushes mentioned above the most in 2012, and they're by far my favourites in my 50+ brush collection (eeek)! Best Haircare Product - Aussie 3 Minute Miracle Deep Treatment for Long Hair. I've been growing my hair for the last two years, and over time the ends have become quite dry and hard to manage. I bought the Aussie 3 Minute Miracle Deep Treatment conditioner for long hair last Summer, and I adore it! It conditions the hair like no other treatment I own; the ends are smooth, soft, easy to manage and my hair smells amazing afterwards. It's affordable, a little goes a long way and the one tube lasts you months. I was dying to try out this famous beauty saviour, reading and hearing endless praises about it. I purchased my first tube of 8 Hour Cream in Heathrow Airport, and opted for the fragrance free version. (In all honesty, I wish I went for the fragranced version - I don't mind medicinal scents too much, and this fragrance free version can smell slightly funky at times.) However, it's a miracle in a tube! I use this constantly on my dry lips, the static ends of my hair and on chapped skin when I have a cold. This soothes a chapped flu-ridden nose overnight, and it's something I doubt I'll live without from 2012 on. I've been using Sudocrem since the day I was born, literally. It's the greatest skin saviour of all; I use it nightly on blemishes and irritations and it works like no other at calming the skin. It's cheap as chips, comes in a variety of different sizes and it works for all. It's a classic - a must-have! Collection's (no 2000 anymore) Lasting Perfection concealer has been a favourite of mine for almost two years now; I'm on my tenth/ eleventh tube at the moment. It covers blemishes and dark circles like no other concealer, and it stays put all day. It's inexpensive, works wonders and it's an overall great product. Clarins' limited edition Odyssey eyeshadow palette, has been in my daily makeup bag for months now. It's my most reached for eyeshadow palette out of my whole collection - I use it more than both of my Urban Decay NAKED palettes! The palette includes four beautiful colours; a warm dark brown, medium brown, mushroom-highlight colour and a coppery gold-flake shadow. They're creamy, easy to blend and pigmented. I only started contouring using Sleek's popular Contour Kit a few months ago, and the difference it makes to my face is unbelievable! It creates depth, shape and highlights the areas I want to stand out perfectly. It's the ideal shade for my pale skin, and it's a product I feel has completely transformed my overall made-up face. It lives up to all of the hype, and for the price that it is, it's 10/10. I'm so delighted I gave this and contouring a go, finally! Benefit is a brand I've been a loyal customer to for years now, and their perfumes are loved by many worldwide. 'My Place or Yours Gina' is my favourite perfume of all time, and it's one I go back to constantly. I wore it for at least 80% of 2012 and I'm running low on it only now. I adore the packaging, the perfume itself and how long it lasts on the skin. It's become my signature scent, and it's one I'll continue to buy again and again. It's quite wooden, fruity and musky all at once (I definitely recommend smelling it for yourself - it's hard to describe how delicious it is in words)! I've been using Essence's black liquid liner for around 5-6 years now; it's one of my all-time favourite makeup products. It's €2-3 to buy, and it's miles better than any high-end liquid liner I've ever used. It's jet-black, has an easy to use brush and it doesn't budge throughout the day. There's nothing bad to say about this product at all; I'll stay a loyal buyer. No nail polishes or brands stood out to me in particular in 2012, but Essence's nail products did quite a bit. Their Quick Dry Topcoat is a product I use almost daily - I paint my nails every one-two days, and I always leave it until the last minute (stupidly). I'm always in a rush, so this drying top-coat dries my polish within a minute. It protects the polish, and gives my nails a gorgeos glossy finish. It's around €2 to buy, and I'd highly recommend it to all. What were your favourite beauty products of 2012?